Great commercial marketing and training tool for brokers, agents, and associations. Our guidebook is a HUGE BUSINESS CARD that stays on your clients’ desks forever! It will also be passed around the office for others to use. It never gets thrown away like a regular business card or a magazine! It is a resource that will be referred to for years to come. 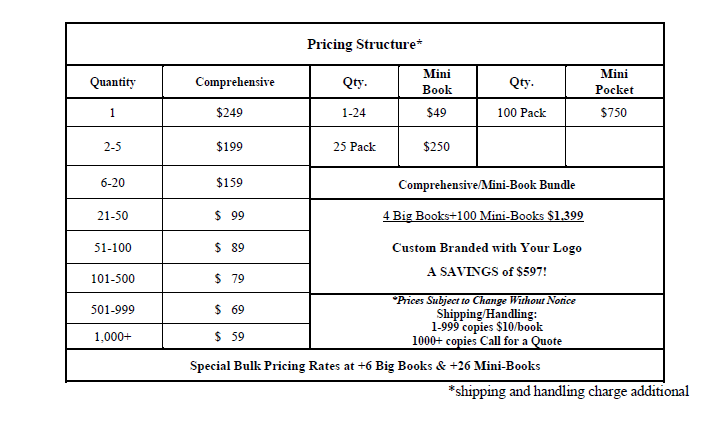 Books are available in bulk with your branding printed on the front and back cover.